Do you call yourself anxious? Do you describe yourself as anxious when you’re thinking about yourself? Do you call yourself anxious when you’re talking to other people? <— Folks, this is worth waking up to. Thoughts that you think over and over again become beliefs. And belief systems become incredibly ingrained in the unconscious mind. You forget that belief systems started out as mere thoughts…they start masquerading as facts. Bah. This is no good. How you talk to yourself becomes a pattern. 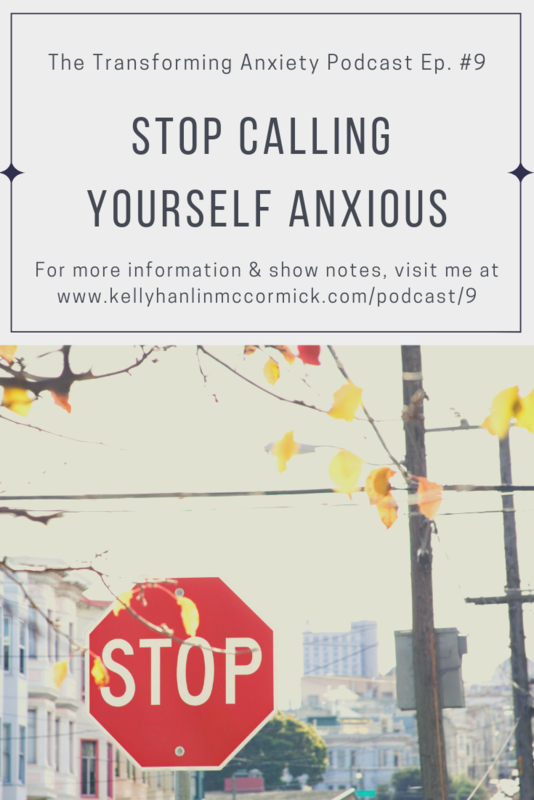 So when you fall into the rut of calling yourself anxious, you’re practicing the thought, “I am anxious.” Practicing that thought creates a belief system. You start to believe you are an anxious person. Here’s the truth: you are not anxious. You wanna know how I know? When you get strep throat, are you strep throat? When you break a toe, are you broken toe? You know that you’ll recover and heal. You are a person that HAS strep throat. You are a person WITH a broken toe. You are YOU. Strep throat or broken toes or what-have-you are just temporary obstacles along the way. To help with this work, I’ve created a worksheet for you. Looking at your belief systems is ongoing work that is important in keeping your mind clean. Challenge your belief systems from time to time. Be willing to take a good look at what you’re holding on to that may be holding you back.